Yōko Yaguchi (矢口 陽子, Yaguchi Yōko, born Kiyo Katō, 27 August 1921 in Shanghai – 1 February 1985 in Fukuoka) was a Japanese actress, and the wife of Japanese filmmaker Akira Kurosawa for 39 years. She had two children with Kurosawa: a son named Hisao and a daughter named Kazuko. 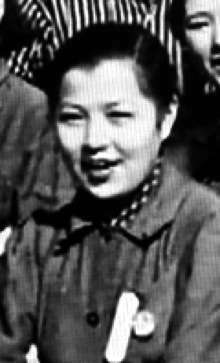 Upon her death in 1985, she was survived by her husband, two children and four grandchildren, three from son Hisao's marriage to Hiroko Hayashi and one from daughter Kazuko Karosawa.